In 1979, as China re-opened its doors to the West, virtuoso Isaac Stern received an unprecedented invitation from its government to tour the country. This extraordinary experience became the landmark, Oscar-winning documentary FROM MAO TO MOZART–a beautiful expression of two different cultures brought together by the warmth and dedication of a great musician and humanitarian. 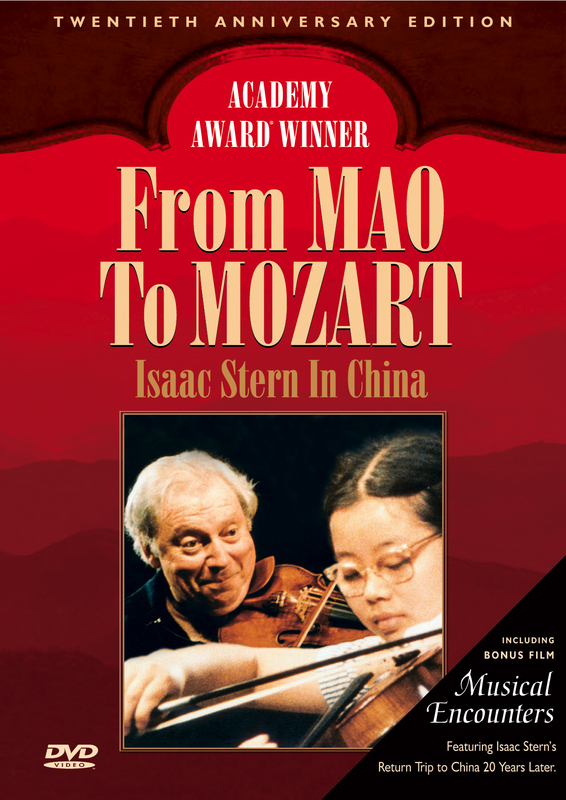 This special collector’s edition includes MUSICAL ENCOUNTERS, a touching short film which documents Stern’s return to China twenty years after his original visit. There he finds an increased involvement with Western music on the part of performers and audiences alike. Some of the children he had taught have become master musicians themselves on the international scene. This special anniversary piece is a heartwarming conclusion to Isaac Stern’s incredible cultural odyssey. $19.95 DVD Single (BACKORDER). On backorder. Will ship when available.